New Zealand was once a land of birds. A bustling and cosmopolitan metropolis of different species that had evolved in isolation until the arrival of humans. Scientists thought we knew the characters that made up this enigmatic ecosystem of a time long past, but we were wrong. Hiding in plain sight, in fossil deposits throughout Northland, and natural history collections, was an entirely new species of seabird, the Kōhatu Shag, albeit sadly extinct. This research has just been published in Molecular Phylogenetics and Evolution and included collaborators from the Otago Palaeogenetics Laboratory (University of Otago), Arizona State University, Birds New Zealand, Auckland Museum, Canterbury Museum and the Museum of New Zealand Te Papa Tongarewa. Since Victorian times, natural historians have been describing our living birds, differentiating species based on their plumage, behaviour, distribution and the shape of their bones. Sadly, many of these unique birds have become extinct, including the Auckland Islands’ merganser, while others like the South Island takahe and New Zealand storm petrel, once thought extinct have been rediscovered. At the same time, palaeontologists have been describing our extinct birds. New Zealand King Shag. New Zealand Birds Online and Mennobart van Eerden. The advent of the genetic revolution upended the status quo. Our research groups’ work on the charismatic New Zealand blue eyed shags (Leucocarbo spp.) illustrated just what DNA can show. The previously recognised Stewart Island Shag was in fact two different species: the Otago Shag and Foveaux Shag. DNA also showed the Otago Shag had lost most of its population size and genetic variation since human arrival, joining illustrious company including the takahe and kakapo. Ancient DNA brought about another revolution, showing many of our unique birds to be new arrivals, and facilitating the discovery of several new bird species in the process, including the Pouwa, the ‘All Black’ of swans, and the Kōhatu Shag. Buoyed by our surprising discovery of the Otago and Foveaux Shag, our research group turned our attention to an even more endangered blue eyed shag, the New Zealand King Shag. Restricted to Marlborough Sounds for at least the past 240 years, the King Shag, now commonly seen from the Interisland ferry, numbers only around 800 individuals. However, in archaeological midden (rubbish dump) and fossil deposits around the North Island coastline, scientists have discovered hundreds of shag bones, some of which have been identified as ‘King Shag’. 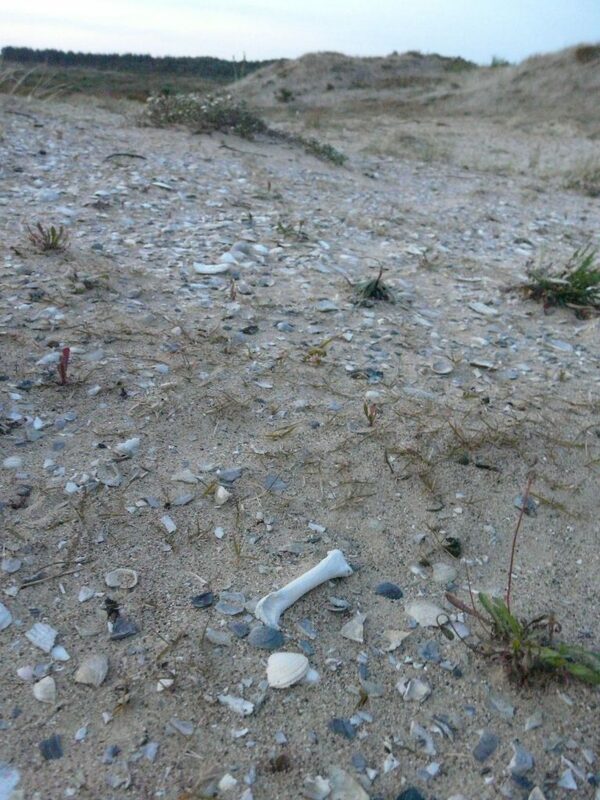 Kōhatu Shag femur in Northland sand dune. Alan Tennyson. 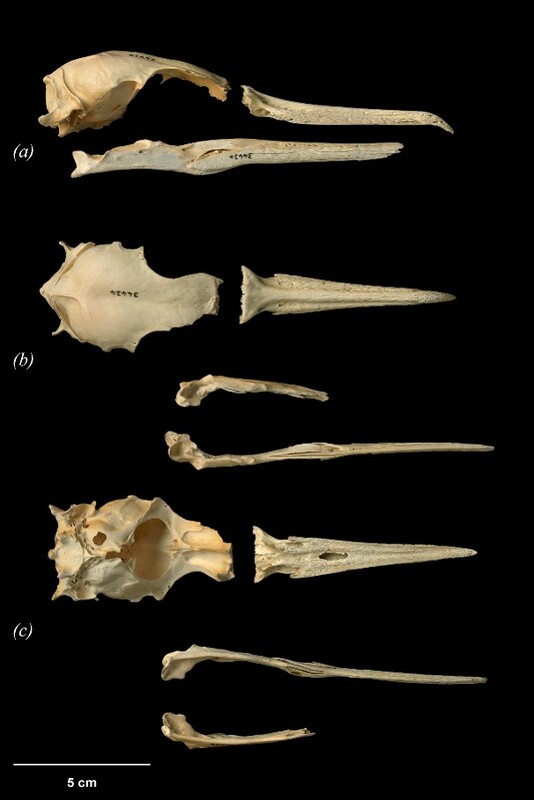 Working with New Zealand museums we isolated ancient DNA from these rare ‘King Shag’ bones and looked for differences in their shape that could indicate different species. Our genetic analyses revealed that King Shags had indeed lived in the lower North Island at the time of Polynesian arrival in New Zealand but had become restricted to Marlborough Sounds prior to the arrival of Europeans. Surprisingly, hiding in plain sight, ‘King Shag’ bones from northern New Zealand represented a completely distinct species, new to science, that sadly went extinct shortly after Polynesian arrival in New Zealand. We named this species Leucocarbo septentrionalis, meaning the northern most member of the genus Leucocarbo. This new species deserved a kiwi name, a name people would be proud of. In conjunction with Auckland Museum, we approached Ngāti Kuri in Northland, in whose rohe the bones of our unique shag were found. After consultation with their Kaumatua, our shag had a name: Kawau Kōhatu or Kōhatu Shag, after the phrase ‘Te Ao Kōhatu’, meaning ‘shag [Kawau] from the stone age before our time [Te Ao Kōhatu]’. A fitting name indeed. The Kōhatu Shag, while no doubt looking superficially similar to its cousins the King, Otago and Foveaux Shag, was very different from the King Shag. As well as several osteological ‘bumps on bones’ differences, the Kōhatu Shag was slender and had shorter legs and wings compared to the King Shag – more like a Pied Shag or Great Cormorant than the ‘flying brick’ that is the King and Otago Shag. Three views of Kōhatu Shag skull. Museum of New Zealand Te Papa Tongarewa and Jean Claude Stahl. Love them or hate them, shags are an important part of our seabird metropolis. In fact, New Zealand is a biodiversity hotspot for shags. Shags can be heavily impacted by humans and even driven to extinction. Shags are also no doubt sentinels of ecosystem health and resilience, or lack thereof, that should be listened too – Spotted Shags are on the brink of extinction in Hauraki Gulf, an ecosystem that has undergone fundamental changes for the worse. Otago Shags are threatened by redevelopment plans in Oamaru. It’s time to leave behind the antiquated view of the ‘shag menace’ and embrace our charismatic seabirds.